Martial skills aren’t very good without the underlying ethics. Teach the “why” along with the “how”. Project Appleseed does a good job, but the bulk of the task falls to the parents. 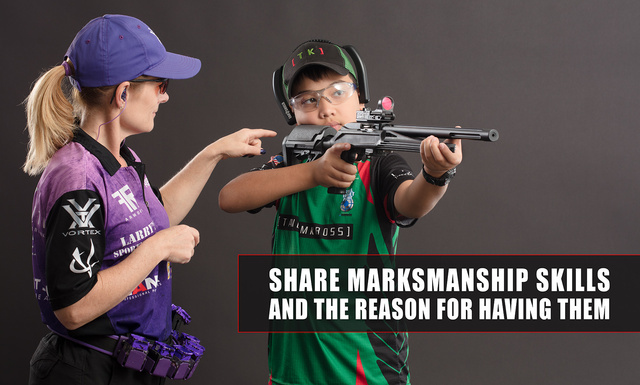 This entry was posted in rifle, rkba and tagged 22LR. Bookmark the permalink. 3 Responses to How and Why. Thank you for the Project Appleseed recommendation and the link. We always appreciate your support. Space-age clothes and equipment, and a classic standing position.